Cigar Guys Radio Show - REMOTE BROADCAST! The Cigar Guys Radio Show, airing every Sunday from 11 AM - 1 PM on Atlanta's AM 920 The Answer, will be conducting their first live remote broadcast. This is a free event, courtesy of the Cigar City Club and the Cigar Guys Radio Show staff! The event will be held on September13 at the Cigar City Club in Sandy Springs, located approximately one mile south of the Perimeter on Roswell Road. The festivities will start at 10:00 AM and continue until closing. You'll be offered a special brunch package (see below for details) which will include a special menu, Bloody Mary's and Mimosas, swag bag and lot of prizes for participating in our trivia contests after the show. There will be fun trivia contests to win lots of cigars and cigar related swag, such as large cigar ashtrays, lighters and cutters from Xikar and travel humidors! The show will air live from 11 AM - 1 PM, during this day-long event. Don't miss the fun and shenigans of the Cigar Guys Radio show hosts and staff Gary "Doc" Laden, Alan "The Cigar Savant" Friedman, Lou "Plucky" Alvarado (event and special projects coordinator), the lovely and talented Ms. Yvonne (production assistant) and Adam the intern! Bring some "great cigar talk" and get on the show, live, with Gary and Alan! Special Brunch Package: Attendees may elect to purchase the $40 special brunch package, which will include: Brunch prepared by the Cigar City Club's talented chefs, Swag Bag, Cigars (valued at way over $40), Bloody Marys and Mimosas. Full cash bar available after 12:30 PM. Humidor available at 10:00 AM. Sunday dinner menu after 5:00 PM. Again, this is a free event and you are not obligated to purchase anything. Event attendees are encouraged, however, to order from the delectable menu, enjoy a cocktail or purchase a cigar to support this fine club. We thank you for your support! Ezra Zion Cigar Company announces the release of it's newest cigar All My EX's! "We are constantly trying to challenge ourselves in our blending. The next cigar has to be better than the last." said co-owner Kyle Hoover. "All My EX's is a blend that we've been working on for over a year to perfect." Miami, Florida, August 17, 2015– Gran Habano is pleased to announced the appointment of HeatherPayneas their new National Sales Manager. Ms. Payne will be responsible for sales team leadership, driving revenue, collaborating with management to develop sales strategies and improve brand recognition. She joins Gran Habano Cigars from the financial services industry and comes to the company with twenty years of progressive experience in sales, marketing and corporate management. Herpastachievements include Allianz Presidents Circle Award for high volume sales as well as successful launching of a financial service firm and an internet startup. In addition to being a U.S. Army Veteran and mother of two who are currently serving, Ms. Payne holds a Bachelor of Arts from Michigan State University, a Master of Business Administration from Spring Arbor University and has presided on the board of several charities including Operation Hug My Hero, Optimist Club International and Junior League. The legacy of making cigars at Gran Habano continues to be a family affair. Established in Miami, FL, the Rico family strives for quality in every leaf and cigar in production. Honesty and passion is what compels us to make great cigars married with a sense of originality which has been the signature of our company. We look to the future with optimism and a great sense of appreciation for those who have come to know us and our brand. 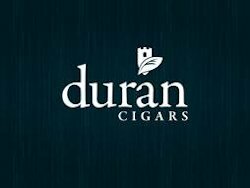 Duran Cigars Introduces New "Big Jack"
(Miami, Florida) June 25, 2015—Roberto Duran Premium Cigars, doing business as Duran Cigars, one of the fastest growing boutique cigar companies, will unveil a line extension for the Neya F-8 Ligero Typhoon during this year's IPCPR in July. The new size will be 7 x 70 and aptly named "Big Jack" after Jack Torano, the company's representative. (Miami, Florida) July 2, 2015— Miami Cigar & Co., staying true to their new initiative to be heavily involved in local community efforts, served as the official cigar partner of the Dwyane Wade Fantasy Camp Draft Party, at the Westin Diplomat Hotel & Resort in Hollywood, Florida. Three-time NBA Champion Dwyane Wade kicked off the 5th Annual Dwyane Wade Fantasy Camp with an exclusive NBA draft party for 100 lucky guests. Attendees were treated to music, bites, cocktails and Nestor Miranda Collection cigars. Jason Wood, VP of Miami Cigar & Company was on hand to personally present Dwyane Wade with an exclusive HfBarcelona Miami Heat themed humidor filled with Nestor Miranda Collection and La Aurora Preferido cigars. Jason Wood stated: "We are truly honored to have had the opportunity to take part in Dwyane Wade's fantasy camp. We are always excited to give back to the community and spread that #OneLife mentality whenever possible." Founded in 1989 by Nestor and Mariana Miranda, Miami Cigar & Co. has become one of the premier distributors of premium cigars boasting a portfolio which includes Tatiana, Don Lino and the Nestor Miranda brands. Miami Cigar &Co. also serves as the exclusive United States distributor for La Aurora, S.A, Viva Republica and Hf Barcelona brands. The La Verdad Cigar Co. has just released their first cigar line and is now taking online orders. Owner Doug Owen started the La Verdad Cigar Company in 2015 with the help of his family and friends. As an avid cigar enthusiast, it was only a matter of time before Doug's passion for premium hand rolled cigars led him on a path to rolling, blending, and creating his own cigar lines. (Miami, Florida) July 8, 2015— Duran Cigars will be unveiling the Limited Edition Roberto P Duran Salomon rolled by Master Roller Crisanto "Santo" Cardenas at the 2015 IPCPR in New Orleans. 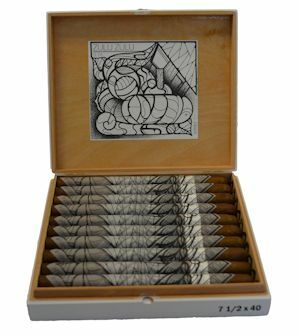 The 7¼ x 57 Salomon comes in individual, hand signed and numbered, cedar coffins housed in 5 count boxes. All 3000 cigars have been personally rolled by Santo at our Nicatabaco factory in Esteli, Nicaragua. This limited edition cigar features the same Ecuadorian Habano Criollo wrapper of the Roberto P Duran Signature line with the blend slightly altered to Santo's liking. Roberto Pelayo Duran, owner of Duran cigars said this about the new project: " Anyone that follows the history of the Cuban Cigar industry is well aware that Santo Cardenas is one of the very top Cuban Cigar rollers of all times. When it comes to the Salomon vitola, he is perhaps second to none. Santo has been rolling the most amazing cigars in Cuba for 55 years and he has been showcased in over 30 countries! For us that are close to him, it is only natural to see that he has chosen the Salomon to be the first vitola to carry his signature. That says it all! We look forward to introducing this masterpiece to the public at the IPCPR in New Orleans this July, booth 16028." Duran Cigars will also introduce line extensions to the majority of the existing brands in their portfolio. The Azan White will now be available in (Toro de Luxe) 6 ½ X52, The Azan Maduro (Supremo) 5X58, Azan Burgundy (Toro) 5 7/8 X 52, and the Neya F8 will be available in (Gringo) 5 X58, (Loyalist) 6 ½ X54, (Patriot) 5 X 52, and the Big Jack 7X70. About Santo Cardenas: Santo Cardenas' resume encompasses over 55 years of experience, beginning in 1960 with H.Upmann at the Montecristo Factory in Havana, Cuba. Santo quickly gained notoriety for his blending skills, and became head of production for "Rey Del Mundo" Cigar Factory, and later head of production for the Partagas Factory. Santo became well-known globally, as he visited over 30 countries for promotion and demonstrations, as a representative for Cuban made cigars.Santo is considered by contemporaries as one of the most important cigar rollers and blenders in Cuba. Santo is currently the Master Blender for Duran Cigars. About Roberto Pelayo Duran: began his life's work in his homeland of Havana, Cuba where tobacco grabbed a hold of him, and never let go. Supervising the production of cigar manufacturing in Cuba was only the beginning as he later went on to assemble and manage distribution of all Cuban cigar brands for Asia at The Pacific Cigar Company Ltd. The creation of Roberto P. Duran Premium Cigars has given Roberto the platform to introduce a brand of cigars that offer the same quality, construction, and detail which he demanded from those he supervised while in Cuba. 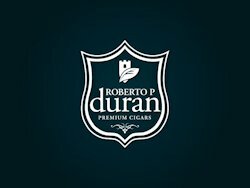 Roberto P. Duran's brands include Azan, Roberto P Duran Signature, Neya, and Baracoa. For more information about Roberto P. Duran Premium Cigars, please visit www.Robertodurancigars.com. 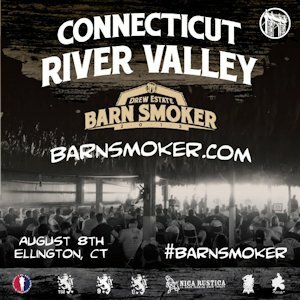 Join Drew Estate for the first annual Connecticut River Valley Barn Smoker. The event will run from 10am - 5pm on Saturday, August 8th on a Connecticut Broadleaf Tobacco Farm in Ellington, CT.
(Miami, Florida) July 13, 2015— A.J. Fernandez Cigars, known for producing consistently highly rated and sought after cigars, is proud to unveil "Enclave" at the 2015 IPCPR in New Orleans. Following in the footsteps of the very popular New World cigar, the Enclave blend was a special collaboration between A.J. and his father Ismael Fernandez. The spirit of the Enclave cigar lies within the special brotherhood, created by those who enjoy a great cigar. In the dictionary, Enclave is defined as: a portion of territory within or surrounded by a larger territory whose inhabitants are culturally or ethnically distinct. Cigar smokers from every ethnic background, race, or creed, bond together daily to escape the everyday, while sharing a handcrafted premium cigar. A.J. Fernandez Cigars celebrates this brotherhood with the Enclave. A.J. Fernandez said: "There is no doubt that there is a special bond shared among those passionate about cigars. I experience it daily as I have the luxury of sharing my labor of love with my father, Ismael. We invite you to join our "Enclave" with this special cigar that we have patiently crafted to perfection." The Enclave blend is an elegantly displayed cigar, adorned with a cigar ring which depicts images of Native Indians, a representation of the original tobacco enclave. As with every A.J. Fernandez cigar brand, Enclave is a carefully hand-crafted cigar, which was blended under strict supervision of A.J. Fernandez in their Estelí, Nicaragua based factory. The Enclave is a medium to full bodied cigar. The rich Habano Rosado wrapper from Ecuador compliments a decadent Cameroon Binder. AJF Select Nicaraguan and AJF Nicaraguan Piloto Cubano Fillers greet the cigar aficionado, with notes of pepper, spice, cedar, and cinnamon. At an MSRP of six dollars, A.J. Fernandez is looking for Enclave to be a first class cigar that can be a daily source of enjoyment. The Enclave come in a beautifully adorned 20 count box and come in four sizes. A.J. Fernandez Cigars is based on the rich tradition of the Fernandez cigar legacy. A.J. Fernandez now produces unparalleled, hand-rolled cigars in Estelí, Nicaragua which have garnered numerous top ratings and acclaim from cigar publications and consumers alike. Today A.J. Fernandez continues the family tradition as he along with his father Ismael oversee production and manage day to day operations in his factory in Estelí. (Miami, Florida) June 1, 2015— Miami Cigar & Company proudly announces the unveiling of the much awaited "Nestor Miranda Collection Danno" cigar. The Danno is a limited edition off-shoot, of the Nestor Miranda Collection which pays homage, to Nestor Miranda's late son, Daniel Luis Miranda, who passed away in 2008. Ocho Rios, Jamaica, June 29, 2015 --(PR.com)-- Sandals Royal Plantation, (Top 25 Hotels in The Caribbean) is known for being Ian Fleming's favorite hideaway which secretly invited Shon Brooks to play in a 2 day golf tournament called, the Chairman's Golf Invitational. http://www.sandals.com/main/plantation/rp-home/ Shon Brooks accepted the invitation and flew into Jamaica from California (USA) on a 13 hour flight and performed magic for the media of photographers on the golf course. Shon dropped in a 17 foot putt for an Eagle score on hole number 1, won the "Closest To The Pin" award, and became a winner in the Appleton Rum putting contest for charity with one shot. The tournament was sponsored by Bank of America and held at the Jamaica Golf & Country Club. Golf Digest has recognized this course as one of the finest in Jamaica. The 18-hole, par 71 course rises 700 feet above sea level in the lush hills of Ocho Rios— It has narrow fairways and drop-off greens with sweeping views of the sea and mountains. The Shon Brooks hat trick won and received multiple awards at the Sandals Royal Plantation. He also won an all expenses paid free airline ticket to return back to the Caribbean as a future guest. Shon was presented an award on stage at this highly legendary all butler suite exclusive resort. The Royal Plantation is so private that tours of the resort are prohibited at all times. When asked about what it felt like receiving this award on stage and the tour he received, Shon said, "First of all, it was a pleasure to meet their entire gracious staff including the hotel general manager, Ferry Zievinger and senior manager, Brandon Laing. As for the awards and tour, I was more thankful just to be invited. However, as I was walking through the tour it felt like it was the opening of the doors to Fort Knox. The tour was truly amazing and one of a kind without giving away any secrets." Brooks Entertainment Inc. donated 2 pair of golf shoes, a autographed binocular golf ball finder, a autograph S.O.B cigar golf bag tag, including a new released golf club for Shon Brooks' debut. The major sports manufacturer that created the golf club for Brooks Entertainment Inc. that Shon Brooks played with has not been disclosed. The award winning putter has Shon Brooks' autograph signature on the neck of the golf club, the S.O.B cigar ring logo on the bottom of the club and "Shon.TV" engraved on the back of the golf club. The custom golf putter was specifically created for this tournament for Shon Brooks' use. Shon also played in the golf tournament with the corporate official ESPN golf tees and ESPN golf ball markers that were provided to him at the Cox Media Annual Showcase (#Coxshowcase). An abundance of collectors memorabilia was donated as charity to a 11th grade high school student named Oshae Hays with National Team golf dreams. Oshae was teamed up with Shon Brooks for the two day scramble golf tournament. Brooks Entertainment Inc. novelty items have spiked in values including photographs. As noted, Shon Brooks is a Time Warner - TV Editorial Excellence Award Winner for covering the Olympic Games (#TeamUSA), Game Changer by Invention Magazine, named Superhero by 'On Wall Street' Magazine, and Financial Planning Magazine. Brooks Entertainment Inc. now emerged as a member of Smoke Magazine's Top 36 Cigar manufacturers in the world. After signing contracts with Cox Media and the Hard Rock Hotel & Casino in Punta Cana, Brooks Entertainment Inc. has emerged and reaccelerated as a leading technology/financial/entertainment company. It believes that when their brand grows ....so does their affiliates. By the way, the National Aeronautics and Space Administration (NASA) confirmed that all 9 space launches of the Brooks Entertainment Inc. brands were a one hundred percent success in reaching planet Mars first at Mach 26.274 speed. As for consumers, here are the following corporations that Brooks Entertainment Inc. has authorized to have access of obtaining the rare 100% authentic S.O.B cigars. That would include the Loews Hotels -Coronado, Cosmopolitan of Las Vegas, Hard Rock Casino - Punta Cana, Famous Smoke - Pennsylvania, Westin Starwood Hotels-Punta Cana, Havana Club Cafe - Westfield Horton Plaza and, the Del Mar Thoroughbred Club - Del Mar. Brooks Entertainment Inc. is licensed and bonded in all 50 states. However, Brooks Entertainment Inc. strategically has not granted permission for all other suppliers in these other states to carry the luxury cigars. Beware of all counterfeits and unauthorized cigars stolen from airport customs. Brooks Entertainment Inc. brands continue to grow in a cyberspace crime world of sophisticated infiltrators with stolen internet photographs, data breaches, illegal internet content blocking, piracy, trademark infringers, mortgage frauds, and email misappropriations from hackers and white collar criminals seeking legitimacy. "The S.O.B™ luxury cigar brand was created for the 'Vanquisher' that plays the cards that has been dealt in life to win and not fold! It is vital that you remain ethical at all times even though others may bend the rules of life. Pressing on is when you begin to obtain Rock Star status!" (Says Brooks Entertainment Inc. company mission statement). (Miami, Florida) June 1, 2015— A.J. Fernandez Cigars, known for producing consistently highly rated cigars is proud to announce that the Northeastern launch of the New World Connecticut, will take place at Cigar Emporium located at 607 Ridge Rd Lyndhurst, NJ 07071 on Thursday June 4th beginning at 7PM. Cigar Emporium will also be celebrating the opening of their second store located at 658 Bloomfield Ave West Caldwell, NJ. (Miami, Florida) July 14, 2015 – La Aurora is looking to up the ante at this year's IPCPR with the Untamed Extreme. The original Untamed which debuted in 2014 received high marks from critics, and ultimately received the honor of a Five Star Rating, and Cigar of the Year for 2014 by The Dominican Cigar Review. La Aurora, known for producing perfectly balanced cigars successfully created the aggressive full-bodied Untamed while delicately keeping their signature balance, between flavor and strength. La Aurora's Master Blender, Manuel Inoa, is now looking to push palates even further, with the Untamed Extreme. Guillermo León, president of La Aurora stated: "Our team created an incredible cigar. With Untamed, we went beyond our traditional products. Now with Untamed Extreme, we look forward to solidifying our position as a company, which can offer products to please those looking, for a more extreme smoking experience." Untamed Extreme by La Aurora Robusto will be available to consumers in three sizes : Robusto, Toro and a 7 x 60 Behemoth. The MSRP will range from $7.00 - $11.00. With the addition of two new team members, the company continues to evolve in a new direction. (Miami, Florida) May 28, 2015— Miami Cigar & Company continues its growth after celebrating 25 years in business, with the addition of two members to its sales team. The Miami Cigar & Company team welcomes retired U.S. Navy Commander Marc Thibodeau and Willy Marante to the family. Raleigh, N.C. – A new and exciting lifestyle magazine will be launching at the 83rd Annual IPCPR Convention and International Trade Show in New Orleans on July 17, 2015. Cigars & Leisure is a consumer magazine that appeals not only to cigar enthusiasts but to those interested in travel, nightlife, music, art, and mixology. While there are plenty of magazines on the market today that cover every topic possibly imagined, including cigars and travel, there’s not one that seamlessly brings these two worlds together into one satisfying package. “Ben Stimpson and I set out to create a magazine for everyone rather than a segment of the market. This is a magazine that has something for men and women, young and old, cigar smokers and those curious about it. There’s something within the pages of our magazine for you—whether it’s in one of our travel stories or with a fun new drink in our mixology section,” said co-founder Antoine Reid. Cigars & Leisure magazine’s mission is to be the personal concierge of the cigar industry. Each page in each issue will be another adventure. The magazine will take readers into both big and small cigar lounges in their neighborhoods. It will introduce readers to the artists, musicians, and creative people that breathe life and personality into communities across the nation. Each issue will take readers on a trip to locations around the world that they may have wanted to visit but haven’t yet found the time. The premiere issue of Cigars & Leisure focuses on the heart of the cigar industry, Miami and the popular South Beach area. The cover features E.P. Carrillo co-founder Lissette Perez-Carrillo, who also is featured in an exclusive interview. 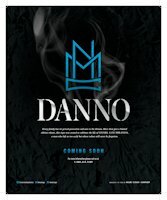 All are invited to view the digital edition of the premiere issue for free at cigarsandleisure.com/digital/premiere15. Each issue retails for $6.95, while a one-year print subscription, which includes digital access, is available for $14.99. A digital-only subscription is available for $9.99. Cigars & Leisure magazine will be at this year’s IPCPR Trade Show in New Orleans at booth 19215. Cigars & Leisure is published by SpecComm International Inc. For more information on the publication, visit cigarsandleisure.com. Also follow its social media accounts: We are @cigars_leisure on Twitter, Instagram, and Pinterest, and our Facebook site is facebook.com/cigarsandleisure. (Miami, Florida) May 28, 2015— Roberto Pelayo Duran is proud to announce that the legendary Cristano Cardenas, better known as "Santo", has joined the Roberto P. Duran Premium Cigars team as their Master Blender. Santo, a Cuban National, will oversee operations in the Nicatabaco SA factory in Estelí, Nicaragua. (Miami, Florida) July 13, 2015— Miami Cigar & Company, one of the originators of the flavored premium cigar is ready to introduce Coffee Break by Tatiana. Miami Cigar & Co. founder, Nestor Miranda created the Tatiana Flavored cigar in 1996. After receiving such positive feedback from testing this innovative aromatic cigar with family and friends, he named the cigar after his daughter, Tatiana, and created one of the most popular cigar brands in the industry. Now the company is ready to add a little coffee bean into the mix. Blended to perfection, with notes of espresso and nuances of grappa, Sambuca and brandy, this cigar is the ultimate indulgence for the worldly ones. Blended to bring out the velvety rich flavors of a smooth latte, with a delectable hit of espresso, this cigar has an intense buttery caramel finish. This flavor is just like your morning cup of Joe. A bold roast perfectly blended, with equal parts of Cuban espresso and milk. It has an enticing coffee aroma, with nuances of robust warm milk and light vanilla notes. Jason Wood, Vice President of Miami Cigar & Co. stated: "This is always a very exciting time of year for us. There is nothing like the IPCPR, the Super Bowl of the cigar industry. We are all very eager to introduce Coffee Break by Tatiana to all of our loyal customers. Without them there wouldn't be us and I appreciate them all for that and can't wait to see them all in New Orleans!" (Miami, Florida, May 21, 2015) – Gran Habano announces the first official release from the Private Humidor Selection by George Rico, a series of heavenly-aged cigars straight out of George's private reserve. The Private Humidor Selection will come from the 30,000 cigars produced and personally designated for George's personal use since 2003, and will be eventually released in different blends and sizes. (Miami, Fl.) - After announcing both the new Crux Guild and Crux du Connoisseur last week, Crux Cigars is proud to provide details on the final of three brand new lines that will be available in the second half of this year. The third brand for Crux Cigars will be the Crux Limitada PB5, the inaugural release in a new series that is based on our love of exceptional tobacco, each with a different blend composed of tobacco that we could only find and purchase in limited quantities. The Crux Limitada PB5 features a Engañoso wrapper from Esteli, Nicaragua that was secured over three years ago and has been waiting to be blended into a superior cigar. Internally, the filler is made up of a combination of five different filler tobaccos while the binder is Connecticut Broadleaf.The final blend was a result of hard work, hours of development, and a suggestion from a friend and fellow cigar manufacturer. Distinctively superior, the maturity of flavor makes this cigar a truly special release. The 2015 release of the Crux Limitada PB5 will come in only one vitola, a 5.75 x 54 Cuban box-pressed Toro Extra that will retail for $11.99. The cigar will be packaged in boxes of 10 that will sell for $119.90, and there will only be 5,000 total cigars produced. As with all Crux cigars so far, the Crux Limitada PB5 will be rolled at Plasencia Cigars S.A. in Esteli, Nicaragua. The Crux Limitada PB5 will be officially launched at the upcoming IPCPR Show in New Orleans, La., and is scheduled to begin shipping to retailers in November of 2015.